The task at the Logistics League is to manage an intralogistic production flow with autonomous robots between several production machines (Smart Factory). At the game two teams play at one field, each with its own set of three robots and seven externally provided machines. The robots play completely autonomous, which means that no team member is allowed to interact with the robots after the beginning of the game. Inter-robot communication is allowed and necessary to coordinate the multiple and different steps to produce the products. Setup: The teams bring their robots to the field and prep are them for the game. 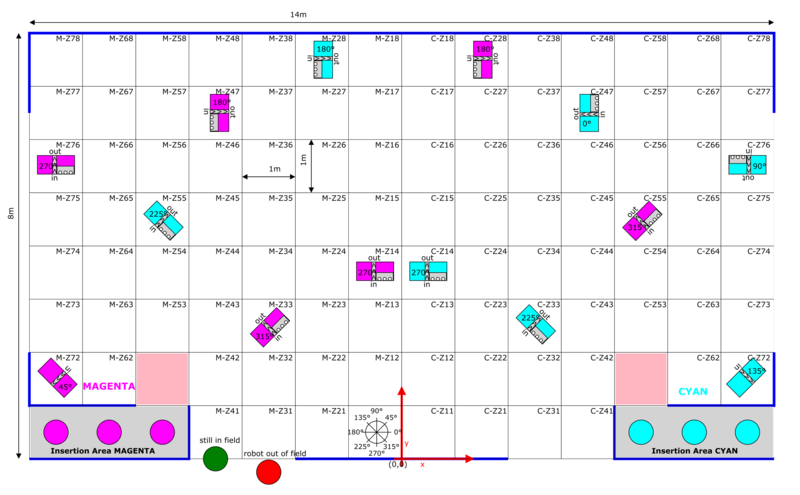 The MPSs are placed at randomized determined positions and filled with material for the game. Exploration: The robots have to explore the playing field and recognize the positions and orientations of the MPSs. Correct machine reports score points. Production: Production orders of different complexities are posted, which the robots have to produce. The products have to be assembled in different steps, where some steps score points as well as delivering the final product. 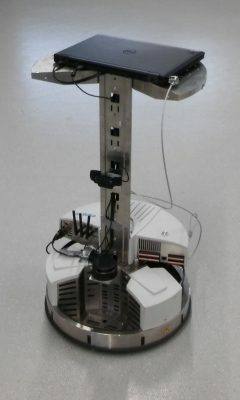 As robot platform the Robotino 3 from Festo Didactic is used. On this fixed platform, with 45 cm diameter and about 80 cm height, multiple sensors, actors and computing power can be mounted. The robots use WiFi for the communication among themselves and to the referees. The game is managed by three referees, two field referees, one on each field half, and one referee controlling the Refbox. The Refbox is a computer system, which provides the communication to all robots and MPS machines during a game. It controls the game, which means that it receives and evaluates the machine reports during the exploration phase. During the production phase the Refbox posts the production orders and instructs the MPSs for the teams. By reporting recognized machines during the 3 minutes exploration phase or producing posted products during the 17 minutes production phase the teams can get points. At the end of one game the team with higher score wins the match. 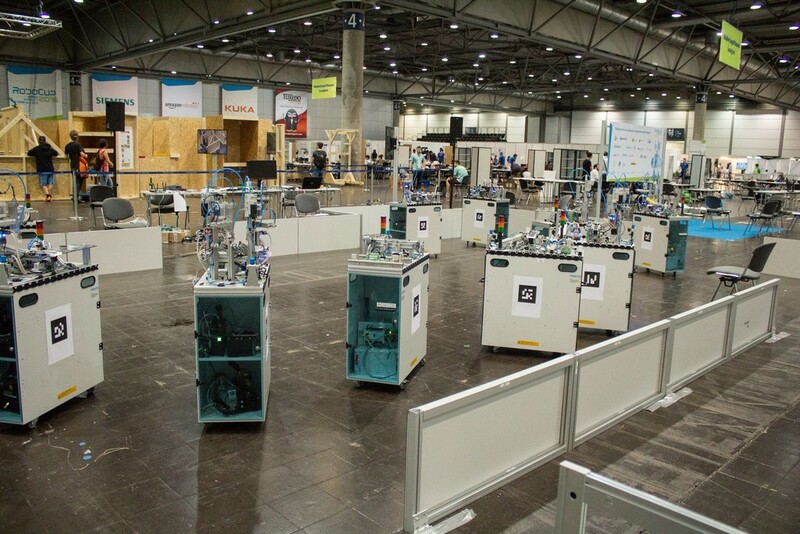 With playing two teams at the same time on the same field the robots have to avoid collisions with other robots, especially with robots of other team.